Cruise the emerald green waters of Destin, FL on a pontoon boat rental this Summer. Use coupon codes Pont88 ($10 OFF min. $150) and Pont9 ($20 Off min. 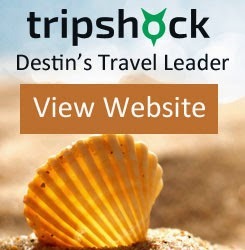 $300) on your next TripShock.com order to save. Create your own journey as you travel through the Harbor and East Pass. Make a stop at Crab Island and hang out with tourists and locals. Bring some snorkel gear and discover new marine wildlife at the East Jetties. Renting a pontoon is fun for all ages so make sure to add this to your vacation itinerary.